Despite late drama, victory was well deserved for Liverpool who dominated throughout and bounced back from blowing a 2-0 first-half lead. 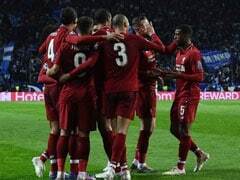 Liverpool left it late but showed Paris Saint-Germain have plenty of work to do if they are to challenge for a first-ever Champions League title as Roberto Firmino struck a stoppage time winner in a 3-2 victory at Anfield on Tuesday. Despite the late drama, victory was well deserved for last season's finalists who dominated throughout and bounced back from blowing a 2-0 first-half lead to take the early advantage in Group C. Daniel Sturridge and a James Milner penalty put the hosts in command before Thomas Meunier reduced PSG's arrears. Having kept Kylian Mbappe and the world's most expensive player Neymar quiet for almost the entire match, Liverpool seemed set to pay a heavy price for one poor pass by Mohamed Salah as Mbappe swept home seven minutes from time in front of a stunned Kop. 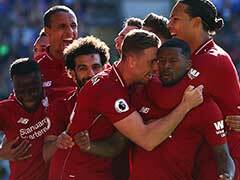 But Firmino, who started on the bench due to an eye injury suffered against Tottenham on Saturday, had the final say as he twisted and turned before firing into the far corner to stretch Liverpool's perfect start to the season to six games. "You can bring Bobby Firmino on and that helps a lot," said Jurgen Klopp after the Brazilian celebrated by covering his injured left eye. "I loved his goal celebration." PSG crumbled on their Champions League travels to Barcelona, Bayern Munich and Real Madrid in the past two seasons and their ability to challenge for the competition under new boss Thomas Tuchel was again questioned as they struggled to contain Liverpool's greater speed and power in midfield. "Never at any point did we lose our confidence. We played with bravery and strength," insisted Tuchel. "But this is Anfield. 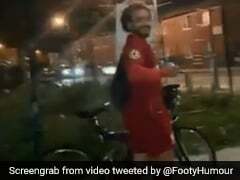 This is what Liverpool do and when they press you it is difficult." 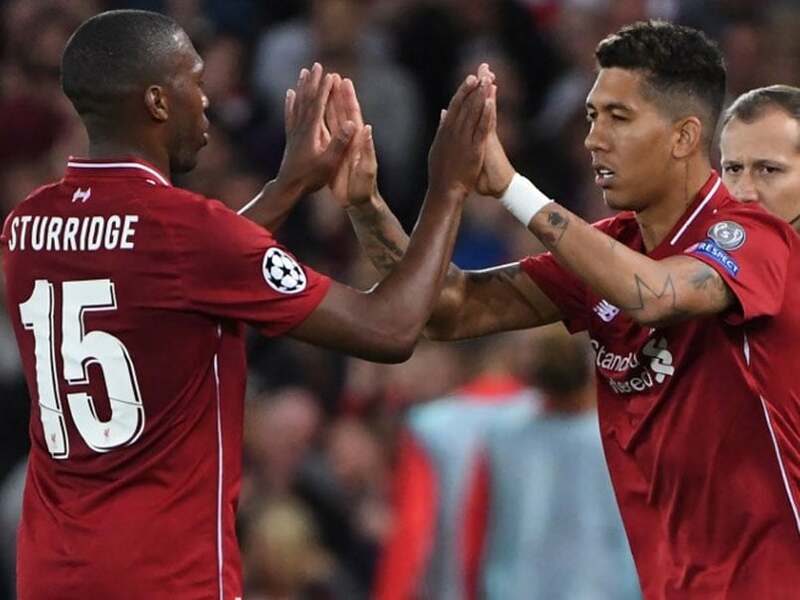 Up front, Firmino's absence opened the door for Sturridge to make his first Champions League start for the club. "It is great to contribute to the team today," said Sturridge. "It is a team here and everybody is going to add to the wealth of the club." The Englishman has been dogged by injury and lack of form during Klopp's nearly three years in charge, but took his chance on the big stage by powering home a pinpoint curling cross from Andy Robertson to open the scoring on the half-hour mark. "I told him this is the best shape (you are in) since I know you physically, and you have to use that," said Klopp. "He played a super game, (scored a) super goal." Six minutes later, PSG's deficit was doubled when Juan Bernat tripped Georginio Wijnaldum inside the area and Milner slammed the resulting penalty into the bottom corner. However, the visitors were handed a lifeline through right-back Meunier, rather than one of their famed front three, as the Belgian skilfully readjusted to volley home Robertson's miscued clearance. Klopp was annoyed at his side for having to survive a nervous finale at Wembley on Saturday after passing up a series of chances to put the game to bed. And it looked like this time they would pay as Salah had a goal ruled out for a foul by Sturridge before the latter headed a glorious chance into the arms of Areola. Seven minutes from time, Salah's slack pass was intercepted and quickly fed into Neymar, with Van Dijk's tackle on the Brazilian only rebounding into the path of Mbappe to fire home. Klopp responded by replacing Salah with Xherdan Shaqiri as Liverpool instantly went in search of a winner. Trent Alexander-Arnold's deflected free-kick came back off the woodwork before they finally got their reward when Firmino powered home.